Introducing a new subohm tank from Geekvape, Cerberus. Geekvape Cerberus features easy top filling design with 5.5ml large e-juice capacity. Together with the innovative super mesh coil system and the adjustable bottom airflow design, it brings the best flavor and huge clouds to you. It is also perfectly compatible with the GeekVape Nova Mod. Besides, the 0.2 ohm mesh coil it loaded with is compatible with Smok TFV8 Baby tanks! 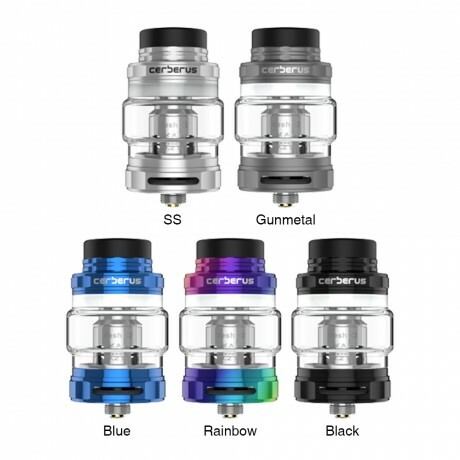 If you were looking for a subohm tank while chasing good flavor, this is the one you cannot miss!